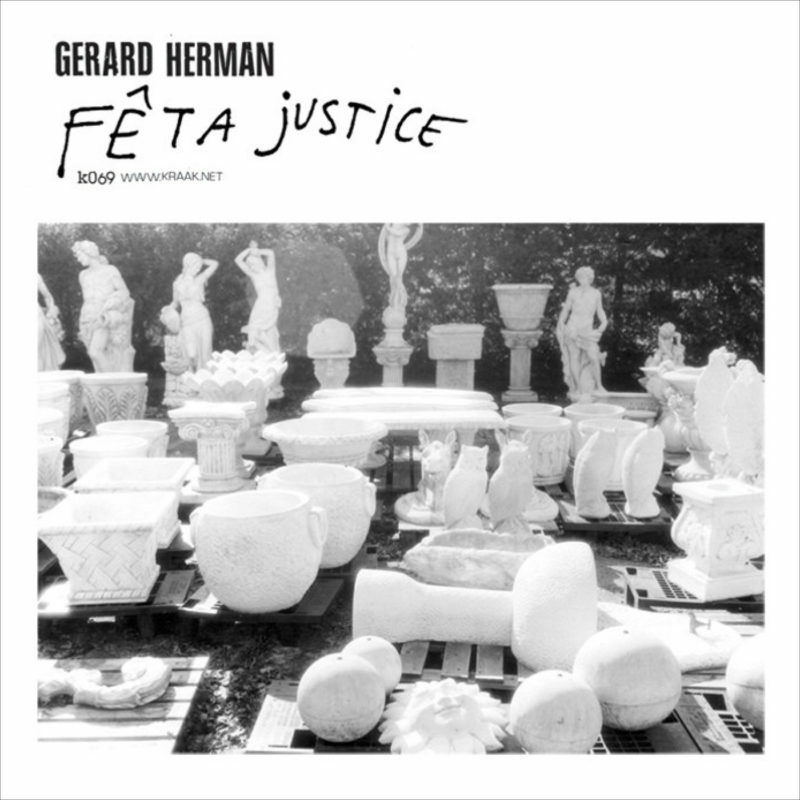 KRAAK | Gerard Herman Fêta Justice"
Listen, Feta is the Greek traditional goat cheese. That's a fact that is right. And that again is a tautology, a style figure derived from the Greek 'tauto logos'. The record itself is not that complicated though. Musically Gerard Herman started his career with a noise cd-r that he couldn’t sell, dropped his carreer and picked it up as the sax and found objects player in Belgium’s youngest and most extraordinary free jazz combo Sheldon Siegel. 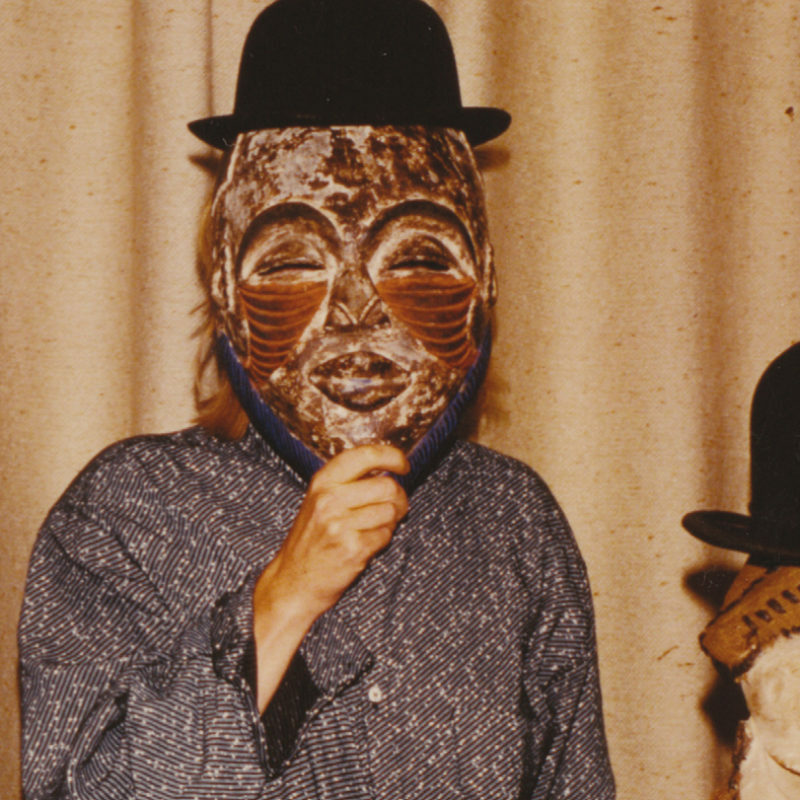 With a combination of off the hook poetry, Suicide beats, field recordings, home made instruments, excerpts from his radio shows and other musique concrète Herman gave us the weirdest, funniest and most arty KRAAK debut till today. This year the man with two first names will graduate from Ghent Art Academy as a master in the Graphic Arts. This limited edition LP is a part of his graduation project. All art, including an offset printed poster, is made by Herman himself. The cover photos are by Sine Van Menxel. Fêta Justice is a great portrait of the artist as a young man, exploring new avant-garde territories in an uncomplexed Flemish fashion.